On July 25 at the National Museum of Women in the Arts, U.S. Global AIDS Coordinator Ambassador Eric Goosby announced $5 million from the President’s Emergency Plan for AIDS Relief (PEPFAR) for the Together for Girls (TfG) partnership to address violence against girls and boys, with a particular focus on sexual violence against girls. This funding will leverage existing PEPFAR platforms to help partner governments develop and strengthen their programmatic response to National Violence Against Children survey data. 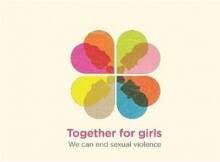 TfG is a partnership between public, private, UN and U.S. Government agencies that addresses violence against children. Launched in 2009, the partnership brings together private sector organizations, including the Nduna Foundation, Becton, Dickinson and Company, the CDC Foundation, and Grupo ABC; five United Nations agencies, including UNICEF, UNAIDS, UNFPA, UN Women, and World Health Organization; and the U.S. Government, through the CDC’s Division of Violence Prevention and PEPFAR—which includes the United States Agency for International Development, the Centers for Disease Control, the Department of Defense and Peace Corps—in collaboration with the State Department’s Office of Global Women’s Issues. Posted July 27th, 2012 & filed under News.